Loft conversions do not always require planning permission; it depends on the size of the proposed room and the size and position of dormer windows. To view the guidelines click on the link to the planning portal government website. 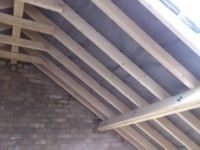 However, all loft conversions require building regulation plans to be submitted to the local authority.